Thank you to all our readers for joining the conversation here in 2012. We wish you all a happy and prosperous 2013! Offered for your reading pleasure, in case you missed any: a compendium of our twitter highlights from 2012. Increasing taxes on investment is akin to building a pitcher-friendly park and keeping the infield grass long: better plan on low-scoring games. Our letter in the Wall Street Journal. Great cartoon about TX’s friendly biz climate vs. CA – who just became more hostile to entrepreneurs. Again. History of iconic fast food & convenience stores. Some interesting stories of adaptability. McD’s started as BBQ?! If you can sing (and you can), can you innovate? Ideas for modernizing and streamlining FDA approval process. North Texas: w/capital scarce outside of energy & real estate, the gap is filled by venture capital firms like BPV. The Economist: “Where angels will tread” – where start-ups will create the next billion-dollar companies. HBS Working Knowledge: Are creative people more dishonest? 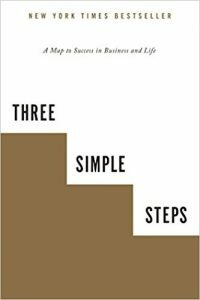 The latest addition to The Library in St. Pete is Three Simple Steps, authored by Trevor Blake, the highly successful entrepreneur who founded BPV portfolio company QOL Medical. Andrew Carnegie taught me how to control my thoughts. From Henry Ford, I learned how to generate moments of insight. And J. Paul Getty helped me understand how to turn imagination into a concrete achievement. There’s a big difference between bringing your attention to something that’s awry and a complaint. Typically, people who are complaining don’t want a solution; they just want you to join in the indignity of the whole thing. You can almost hear brains clink when six people get together and start saying, ‘Isn’t it terrible?’ This will damage your brain even if you’re just passively listening. And if you try to change their behavior, you’ll become the target of the complaint. Unconscious thought can do more than just help you remember facts. It actually has the power to fuel the creative process. Have you ever found yourself struggling with the wording while writing a paper, but after taking time away from it, you’re able to quickly find the right words? This is your unconscious mind at work. While our conscious mind is focused on other matters, our unconscious mind can process the relevant information we need to make important decisions. A study from the Center for Neural Decision Making at Temple University found that when people take the time to quiet down the left brain — that’s the part of our brain that’s processing to-do-lists — solutions often percolate up from the subconscious. After a period of not thinking about the problem, the answer simply appears. The more these study participants were able to let go, the more activation was seen in the part of the brain associated with enhanced vigilance and awareness — exactly what you need if you’re looking for a new idea. At first blush it may sound a little far afield, but it certainly has applicability for the long term nature of, and ambiguity surrounding, venture investing and managing the inevitable emotional ups&downs associated with it. The piece’s “defensive pessimism” is an apt description for a good approach towards evaluating business plans and their authors, some of whom have been known to take a nip of their own kool-aid when pitching. He rediscovered a key insight of the Stoic philosophers of ancient Greece and Rome: that sometimes the best way to address an uncertain future is to focus not on the best case scenario but on the worst… Just thinking in sober detail about worst-case scenarios—a technique the Stoics called “the premeditation of evils“—can help to sap the future of its anxiety-producing power. One other reason we enjoyed the article: it mentions research conducted by Saras Sarasvathy, an associate professor of business administration at the University of Virginia – research on the mind of great entrepreneurs we ourselves blogged about just under two years ago. Research by Saras Sarasvathy, an associate professor of business administration at the University of Virginia, suggests that learning to accommodate feelings of uncertainty is not just the key to a more balanced life but often leads to prosperity as well. For one project, she interviewed 45 successful entrepreneurs, all of whom had taken at least one business public. Almost none embraced the idea of writing comprehensive business plans or conducting extensive market research. Instead of focusing on the possibility of spectacular rewards from a venture, ask how great the loss would be if it failed. If the potential loss seems tolerable, take the next step. Ballast Point Ventures is pleased to announce a successful exit from its investment in BPV II portfolio company FSV Payment Systems, a leading provider of prepaid program management and processing services. FSV is known for its expertise managing a broad range of prepaid programs for companies, government agencies, financial institutions, and incentive/marketing firms. Under the terms of the transaction, Ballast Point Ventures, North Hill Ventures, Berkley Capital, and the other non-management investors sold their ownership stakes in the Company to U.S. Bank. The acquisition combines U.S. Bank’s payments strength and prepaid expertise with FSV’s platform which will position the combined entity as one of the few financial institutions in the industry capable of providing efficient end-to-end prepaid programs and services for its clients. The sale of our interest in FSV marks the end of a very successful three and a half year investment for BPV. We are very appreciative of the outstanding job that Rick Savard and his team did in taking FSV from a solid growth company to a very profitable firm with a high profile in the prepaid sector. They’ve done a fantastic job working with clients while leading a dramatic improvement to the service platform and technology capabilities of the company. Rick and his team have created significant value for FSV shareholders and their customers. We are delighted U.S. Bank will be working with FSV management to continue to build the business. Mike discussed the inevitable ups and downs on the path to entrepreneurial success, dispensing several bits of advice along the way. Get the right team members into the right roles. U.S. Grant enjoyed great success as a general, but not so much as president; and Babe Ruth, while a good pitcher, was too good not to play every day. We’ve covered this topic ourselves, within the context of the roles venture capitalist and entrepreneur must play to make the team work well. The long-term partnership is best served when (switching sports…) each learns when to take the shot and when to pass the ball. Getting this piece right isn’t so much about control as it is about chemistry. If VC-CEO partnerships are like marriages (as is often said), then the issue of control needs to mirror that of a healthy marriage. It’s not about 100% control, or even 51% control – it’s about playing to each others’ strengths and making the concessions and adjustments that a given situation demands. Once we found our lightening in a bottle, we had to act. Professor Saras Sarasvathy of the Darden School of Business likened great entrepreneurs to Iron Chefs: “at their best when presented with an assortment of motley ingredients and challenged to whip up whatever dish expediency and imagination suggest.” Professor Sarasvathy had several keen insights on the difference between this mindset, which she termed effectual reasoning, and the causal reasoning of successful corporate executives. Develop flexible persistence – the sense for when to stay committed to your vision and when to pivot in the face of new realities. You are at least partially wrong about your product. Launch early enough that you are embarrassed by your first product release, and find out how people are using it. Aspire, but don’t drink your own Kool-Aid. …[A]lways look for good perspective on how you are doing. It is very easy for creative innovators to get caught up in their own story rather than learning where they should be headed. This is Part III of a short series on the topic of decision making; specifically the not-quite-conscious decision making that can be influenced by external cues. In Part I we discussed “deliberation without attention” and how cues can affect the unconscious mind. 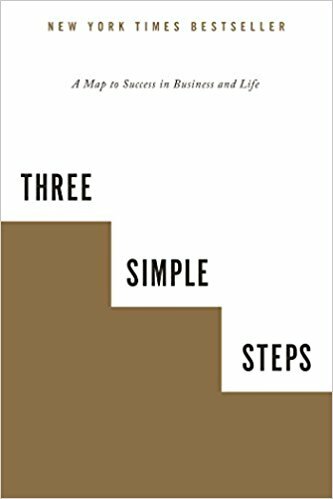 In Part II we moved to the semi-conscious mind and how habits are triggered by cues – and then followed by the next two steps of the “habit loop,” routine and reward. 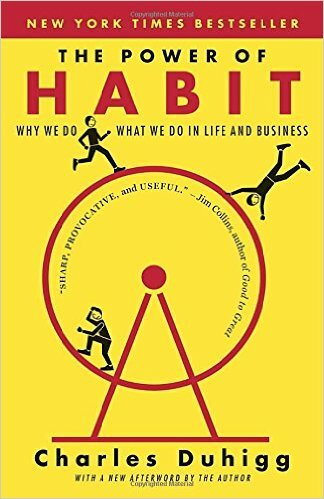 Below we delve into author Charles Duhigg’s (“The Power of Habit”) recommendations on how to change habits on either the personal or organizational level. The way you identify keystone habits is that you look for things that have emotional resonance. When I talk to companies about how they changed, what people often say is, “The way I discovered the keystone habit is, I tried to figure out what kind of change scared me the most. Not ‘worried me the most,’ not ‘concerned that the numbers weren’t going to line up’; scared me the most.” That’s how you know. Claude C. Hopkins, who is totally forgotten today, but about 100 years ago was like the most famous adman in America. And back at that point, nobody brushed their teeth. It was actually something that just sort of the upper classes did, almost to show off that they had money every so often. And Hopkins had a friend who had found this new toothpaste named Pepsodent. So Hopkins said, look, if you give me a stake in the company, I’ll help sell Pepsodent. And so he had intuited that you need this cue and this reward. And so the cue was that film that you feel on your teeth if you haven’t brushed in about a day. People for eons had had that film. And no one had ever minded it. But Hopkins put up all these ads that say, if you feel that film, then that’s a bad thing. You need to get rid of the film. And he thought the reward was a beautiful smile, giving people whiter teeth. Turns out that he was right about the cue, and wrong about the reward. It takes so long for toothpaste to make your teeth whiter that that’s a terrible reward, because it would take months for anyone to see it. But the guy who had invented Pepsodent had actually added into it these chemicals and these oils to make it taste like mint. And a secondary impact of that was that they were irritants that would make people’s gums and tongue tingle… They started to equate that tingling with cleanliness. And it happens so quickly– when you brush, it happens right away– that that became a reward in and of itself. And so when people would walk out the door to work or they would lay down in bed at night and they didn’t feel that tingling, they would feel like their mouth was unclean… (W)ithin five years of Hopkins starting to advertise Pepsodent, like half of America was brushing its teeth every day. And historians say it’s because of Pepsodent. That example deals with changing consumer behavior, which is simply an aggregate of individual habit changes. For a look at how an organization changed it’s habits, Duhigg picked a more recent example: Alcoa in the late 80s/early 90s. (B)asically the same framework seems to apply within a company. There seems to be this cue that triggers a kind of automatic behavior. And then people just do things automatically. And then there’s a reward, which is usually financial or promotions or something like that. One of my favorite examples of this is Paul O’Neill of Alcoa, the largest aluminum company in the world when he took over. He focused on creating a new habit around worker safety within the company. And it was very deliberately designed around this habit loop. He would choose a cue, which is that any time anyone got injured, the unit vice president had to write a report within 24 hours explaining why it happened and how they were going to prevent it. So the cue was an injury. And the routine was writing this report. And the reward was that the only people who got promoted were the people who took worker safety seriously…. (T)his is what O’Neill knew… if you could start one keystone habit shifting, it would set off this chain reaction. And that’s what happened inside Alcoa, is that when habits around worker safety started to become more malleable, all of a sudden the culture of the company started to change. For years, Alcoa had been riven with internal strife… And then O’Neill comes in and he says, OK, our number one priority is changing worker safety habits. And what he’s really saying to the company is, we are going to start valuing every single employee. Every single person who works here matters to us. And it completely changed the dynamic of the relationship between employees and management. (T)he other thing that’s interesting is it’s not just the company culture. It’s also that when you’d ask him, so how do you actually make a factory safer? What he says is, well, the way you make it safer is you have to analyze how work gets done. You look at people’s work habits and you analyze, where do accidents occur? When is it going off the rails? And it turns out that the way to make a work safer is to do it right every single time. And of course, if you do it right every single time, if you create the right procedures, then not only is it safer, it’s also more efficient. It’s better quality aluminum that you’re producing. So O’Neill actually said, I want to make workers more safe. I want to change worker safety habits. And everyone could sign on to that. What he was actually saying was, I want to make every single factory more efficient and more productive and producing a higher quality product, because that’s how we make things safer. But if he had come in and he had ordered greater efficiency, everyone would have rebelled, all the workers at least. But you come in and you say, I want to make everything safer, that’s something everyone can sign onto. In Part I Wednesday we ended with the thought that cues (sounds or smells), delivered while subjects were unconscious (asleep), may affect memory and creativity the following day. Here we continue on the subject of cues, but as they relate to changing habits that are performed semi-consciously; and on how that has applications to organizational performance. Every habit has three components. 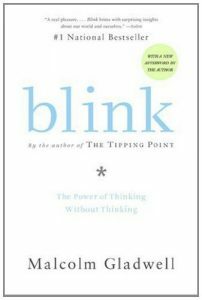 There’s a cue, which is like a trigger for the behavior to start unfolding; a routine, which is the habit itself, the behavior, the automatic sort of doing what you do when you do a habit; and then at the end, a reward, (which is) how our neurology learns to encode this pattern for the future. Most people, when they think about habits focus on the behavior or the routine. But what we’ve learned is that it’s the cue and the reward that determine why a habit unfolds. 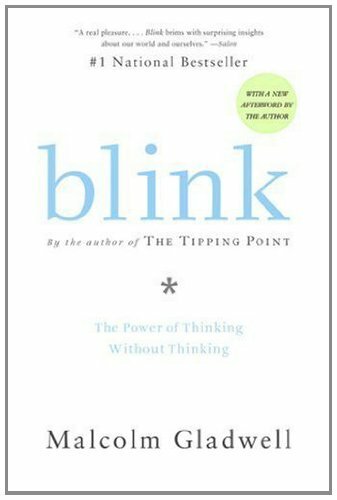 (A)bout 40% to 45% of what we do every day sort of feels like a decision, but it’s actually habit… What happens in our neurology is that most behavior originates in the prefrontal cortex, the area right behind our forehead. What we think of as thought, that’s where it occurs. It’s one of the most new, from an evolutionary perspective, parts of our brain. But as a behavior becomes a habit, as it becomes automatic, it moves into the basal ganglia, which is one of the oldest structures in our brain and it’s near the center of our skull. And when things happen in the basal ganglia, it doesn’t feel like thought. That’s why a habit feels automatic – because it’s happening in this part of your brain that for all intents and purposes, from what we think of as thinking, is completely exempt from that process. (I)n the last 10 or 15 years there’s been this real wealth of an explosion in research in looking at organizational routines or organizational habits and trying to understand how those influence how work gets done. 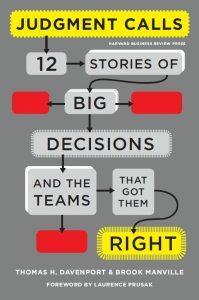 And what we’ve learned is that a huge amount of whether a company succeeds or fails is based not on sort of the big strategy decisions that people make, but on the habits that emerge within the organization… (I)t’s a little different… what we know about organizational routines or habits that occur among hundreds or thousands of people is that very often the habit loop differs a little bit from person to person. And yet the entire organization seems to move in the same direction. And so what researchers have done is they’ve said, basically the same framework seems to apply within a company. There seems to be this cue that triggers a kind of automatic behavior. And then people just do things automatically. And then there’s a reward, which is usually financial or promotions or something like that. When you talk to good CEOs, great CEOs, what they talk about are habits. 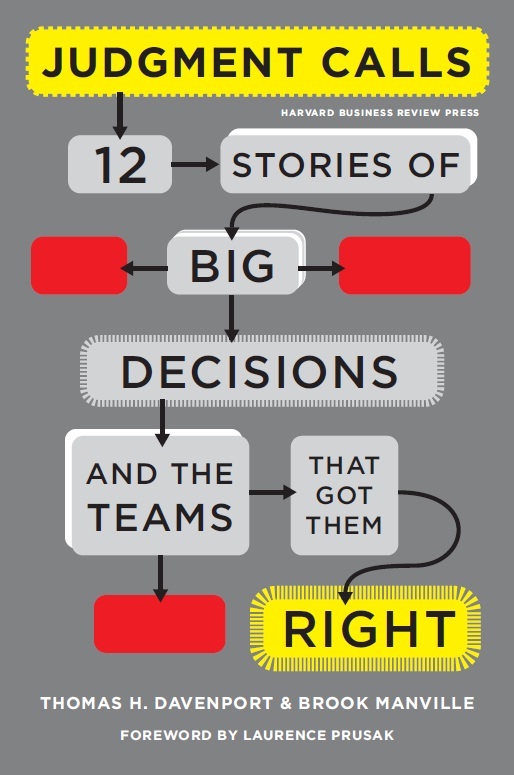 Lou Gerstner at IBM, Jack Welch at GE, sometimes they talk about these big strategy decisions. But 5% of your job as a CEO is making the big strategy choice. 95% is managing small choices, managing what your culture is going to be like, managing how you structure the rewards and the incentives that determine how people kind of automatically behave. Good managers understand the importance of habits and they think about it. Bad managers pretend like organizational habits don’t exist. And so when habits emerge, they end up being distortive or toxic. 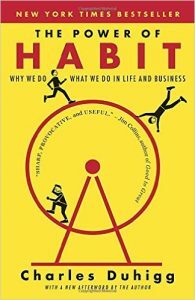 What recommendation does Duhigg offer to help snap out of habits? We’ll cover that in Part III on Monday.